An Asian restaurant or a commercial kitchen establishment specializing in sushi has specific needs. 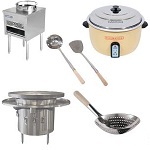 We at Restaurant Equipment Solutions will fill those needs with our Asian and sushi equipment and supplies. We carry the top brands in everything from specialty tools and utensils to delivery and janitorial supplies. Showcase your creative sushi with equipment and supplies like display cases that show off your creations to incoming customers. Once your patrons have chosen their Asian or sushi dish of choice, present it beautifully with dinnerware and serveware designed specifically for sushi restaurants. 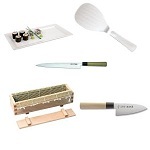 At Restaurant Equipment Solutions you'll find all of the Asian and sushi equipment and supplies you need. If you own or operate a restaurant specializing in sushi or Asian style foods, you can buy all your commercial restaurant equipment and supplies right here! Call our friendly staff and let us help you outfit your sushi bar or Asian style restaurant. From refrigerated sushi case to wok ranges and rice cookers, you'll be amazed at our wide selection of equipment and supplies. 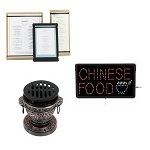 We ship Asian restaurant, sushi bar, and food service supplies, equipment and furniture at discount commercial wholesale prices. If you need it for your sushi restaurant, Restaurant Equipment Solutions can get it for you. 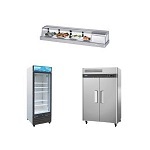 We specialize in commercial restaurant equipment including top of the line commercial refrigeration cases and restaurant equipment. 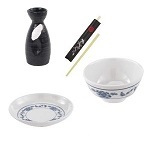 Order your Asian restaurant service supplies and equipment today, call 877-236-5780.